Suitable for all types of floor surfaces. 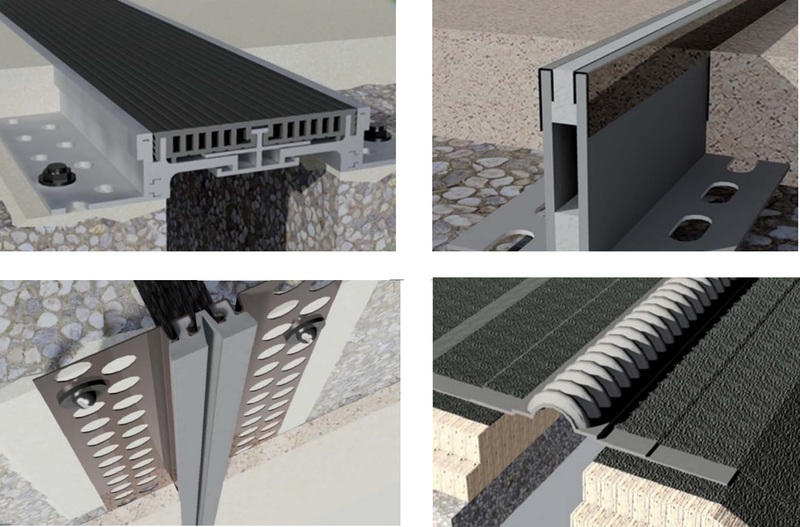 For floors in underground parking lots, multi-level parking lots, garages, ramps, etc., where higher moisture levels and direct contact between the ground and water is expected. Made of plastic, aluminium, stainless steel and brass. Made of aluminium, plastic or only high-quality rubber. 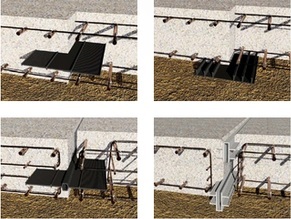 Can also be used to protect expansion joints in underground parking lots or similar underground environments. Can be used to cover joints with a width of up to 380 mm. The Deflex fire barrier is a fire-resistant, asbestos-free foam that meets the requirements set for the protection of structures from the spread of fire. Deformaciniai profiliai yra sertifikuoti pagal atsparumą apkrovoms ir atitinka DIN 1055 ir DIN 1072 standartus.